DON'T YOU KNOW YOUR FUTURE IS IN SPACE? Since the dawn of time, humankind has felt the urge to explore the four corners of our globe. To push at the boundaries of our world and discover what lies over the horizon. And since the dawn of science fiction, writers have wondered about the next frontier: the one that lies Out There. Here then, a generous collection of stories that reach out into the unknown void, finding awe, wonder, other minds—even terror. But always going beyond the world we know to explore a universe strange beyond the outermost limits of human imagination. Stories of brave men and women who risk all to explore, colonize, and settle the vast reaches of space. As e. e. cummings put it, “listen: there’s a hell of a good universe next door; let’s go.” Well said, but there’s a hell of a big, strange universe right here. And it’s waiting for us all! 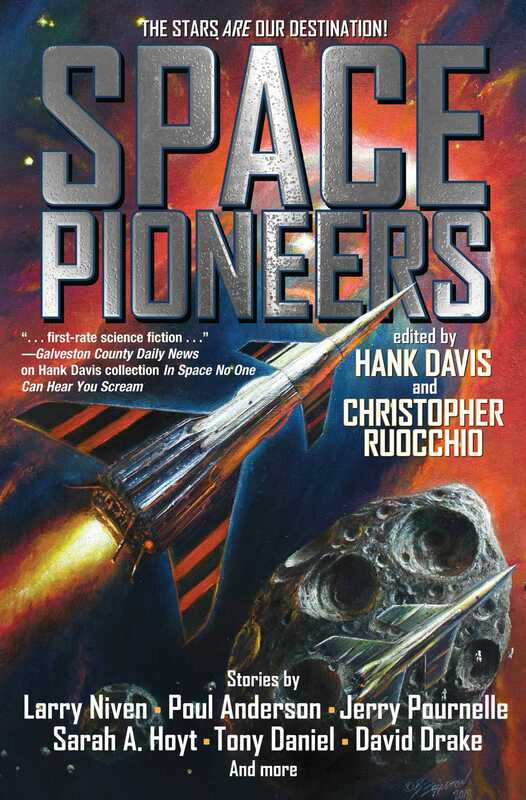 Great tales of space exploration and pioneering by David Drake, Sarah A. Hoyt, Theodore Sturgeon, Edmond Hamilton, and more.